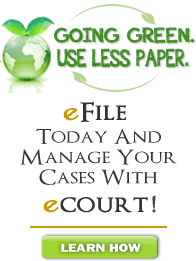 eCourt - A webportal, in a case management-like environment, of filings and all eNotified documents, with eFiling now available! The Fifth Circuit is proud to publish a responsive web design allowing this website, when viewed on any mobile or tablet device, to recognize and adjust to that device's screen size and resolution. Our website was established to enhance the Court's ability to provide important and timely information to the public, litigants, and attorneys. Among other things, you will find on this site links to the Court's history, its staff, directions to our office, and much more. As you explore our website, please feel free to contact us with suggestions for website enhancements. Your comments will be a significant source of new ideas on how this site can better serve the entire community. The Court of Appeal, Fifth Circuit has appellate jurisdiction as authorized under Article V, Section 5 of the Louisiana Constitution, which encompasses the parishes of Jefferson, St. Charles, St. James, and St. John the Baptist. The Court of Appeal, Fifth Circuit has supervisory jurisdiction, subject to the general supervisory jurisdiction of the Supreme Court of Louisiana, over all lower courts in all cases in which an appeal would extend to the court of appeal. NEW LOCAL RULE 11 - EFFECTIVE JUNE 1, 2018 IN REGARDS TO ELECTRONIC AUDIO AND VIDEO EVIDENCE. Click here to learn more. T he mission of the Fifth Circuit Court of Appeal is to provide meaningful access to all who seek review under this Court's appellate and supervisory jurisdiction granted by the Louisiana Constitution, while protecting and promoting the rule of law, preserving the public trust, and using public resources efficiently. *Includes $25.00 additional filing fee required by La. R.S. 13:10.3. See also La. R.S. 13:352 and Local Rule 1. + Includes $0.50 filing fee required by 2016 Act No. 131 and La. R.S. 13:86 on all initial civil filings, effective August 1, 2016. Click for additional information regarding Act. 131. NO FILING FEE FOR A TIMELY FILED APPEAL BRIEF. APPELLATE RECORD MUST BE RETURNED WHEN BRIEF IS FILED! NO EXHIBITS WILL BE CHECKED OUT TO ATTORNEYS! ORAL ARGUMENT MAY BE REQUESTED BY LETTER! Ruling Judge: Honorable Henry G. Sullivan, Jr.
SHELBY P. LASALLE, JR., WILLIAM B. HAENSEL, JR., STEPHEN W. PHILLIPPI AND RONALD J. DANOS VERSUS G.E.C., INC. C/W KREBS, LASALLE, LEMIEUX CONSULTANTS, INC. VERSUS G.E.C., INC.
KREBS, LASALLE, LEMIEUX CONSULTANTS, INC. VERSUS G.E.C., INC. IN RE: MEDICAL REVIEW PANEL PROCEEDING FOR HOLLICE SPURLOCK, JR.
STATE OF LOUISIANA VERSUS DERRICK A. FORD, JR.
Ruling Judge: Hon. Lee V. Faulkner, Jr.
Ruling Judge: Honorable Robert W. Varnado, Jr.
Ruling Judge: Honorable Donald A. Rowan, Jr.
GANGI SHRIMP COMPANY, L.L.C. VERSUS MICHAEL A. BRITT, ATTORNEY AT LAW, STEVEN SCHWED, AND PESCOE, SCHWED, AND ASSOCIATES, L.L.C. SONDIER KNIGHT VERSUS IMPERIAL TRADING CO.
STATE OF LOUISIANA IN THE INTEREST OF B. F., B. F., B. F.
In an effort to facilitate access for litigants, the Judges of the Fifth Circuit Court of Appeal have adopted an Intake Form to be used when litigants file a writ application with this Court. Our goal is to promote judicial efficiency, which leads to prompt consideration of pending matters. By signing the Writ Application Intake Form, counsel for litigants certify that the Writ Application Intake Form meets the requirements of the Uniform Rules of the Courts of Appeal and the Fifth Circuit’s Local Rules. Click for Writ Application Intake Form. In all criminal appeals, counsel for the defendant shall complete the pro se briefing notice (Appendix A) issued by this office and attached to the notice of lodging and briefing order. Counsel shall attach the original completed pro se briefing form to a copy of the brief to be filed with this court and mail the notice and copy of the brief to the defendant. The date of notice and mailing to the defendant shall not be later than the date the brief is filed with this court. A copy of the completed form shall also be attached to counsel’s brief and submitted to this court for filing within the briefing delays established by the clerk of court. Any brief submitted by counsel will be rejected by the clerk of court if a copy of the form is not attached to the brief at the time of its submission to this court or if the form is incomplete. Adopted Jan. 20, 2009, effective Feb. 1, 2009. Please click for a printable version of the Pro Se Briefing Notice. Please click for a printable version of the Pro Se Manual.